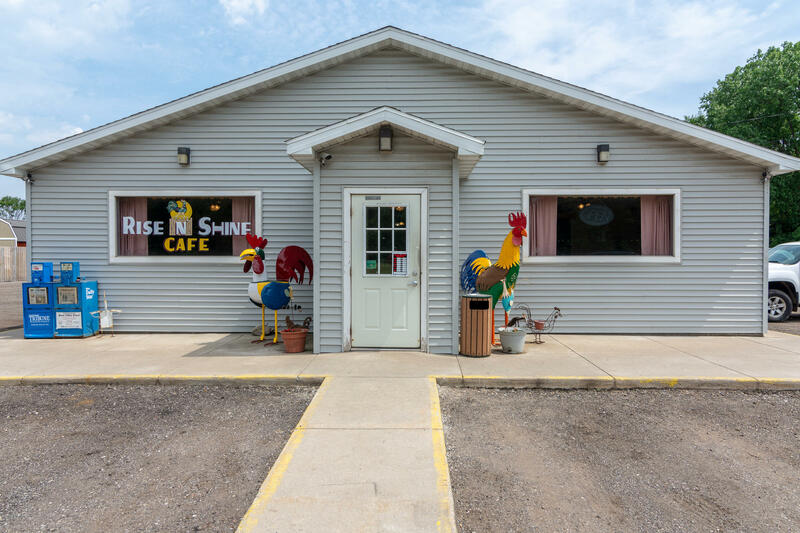 Well established and successful Rise-N-Shine Cafe is now For Sale - which will include real estate, building, & all contents . Seller will retain the Rise-N-Shine name. Restaurant is very profitable and is currently open for breakfasts and lunches. Located on 3.95 acres - Parking is no issue with room for 60+ vehicles. Well cared for building is a combination of block and frame building, with composition roof. Exterior walk-in cooler and walk-in freezer. If you have wanted to be your own boss- this could be your opportunity that you have been waiting for. Call Brian Floor to schedule your private tour of this business at (269) 362-4029.